After finishing uni at mid day, the family and I decided to take a drive down the Freo. 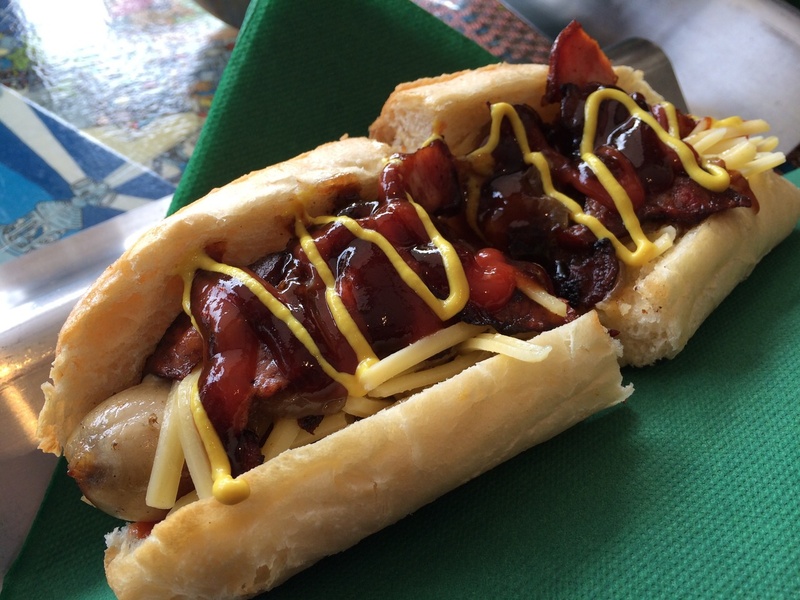 There were a lot of places in Freo which came to mind but there is one place that I have always wanted to try, which is Run Amuk Hotdogs Unleashed. We arrived at Run Amuk just after the peak lunch hour and were welcomed by the lovely lady who told us a bit about Run Amuk. She also gave some good recommendations which we eventually ordered based on her recommendation. I had The Punk ($12.50) which consists of premium bratwurst, crispy bacon, caramelised onions, cheddar, american style mustard, tomato sauce and smokey BBQ sauce. 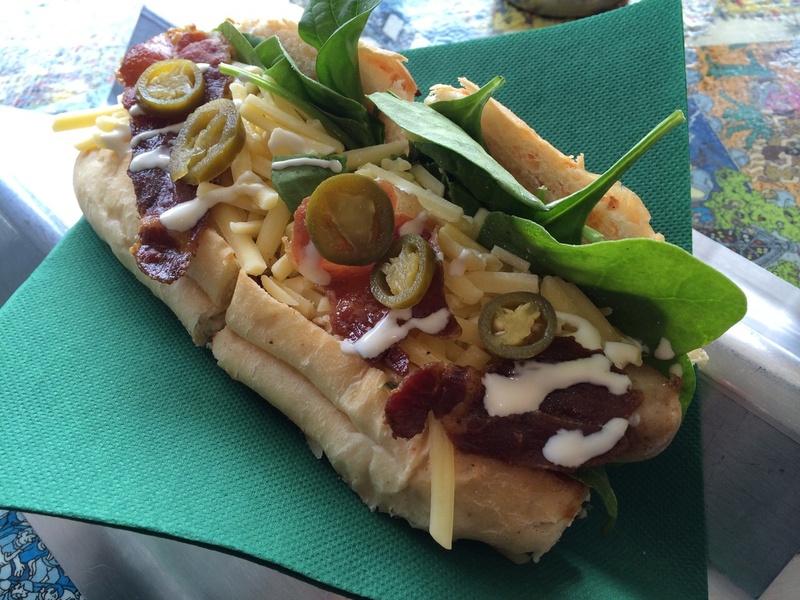 The Punk hotdog was delicious and full of flavour. I loved the combination of classic flavours from the mustard, tomato sauce and smokey BBQ sauce, giving a punch of flavours. It might seem ordinary but yes, you can’t go wrong with the Punk. The bratwurst was also fresh, juicy and flavoursome as it was well seasoned and the lightly toasted bread was soft and fluffy. If you like your classic Hot Dog with a whole lot more of flavour and zing, the Punk is for you. Dad had the Mischief ($12.50). I had a taste test of the Mischief and I quite like it too. The Mischief to me seems to have a mexican take on the traditional hot dog with tortilla chips, freshly made guacamole, jalapeno and sour cream. The flavours worked well together and the jalapeno gave a subtle hint of chili kick. And not forgetting the crunch you get in every bite from the tortilla chips. The Mischief is truly one Mexican fiesta. 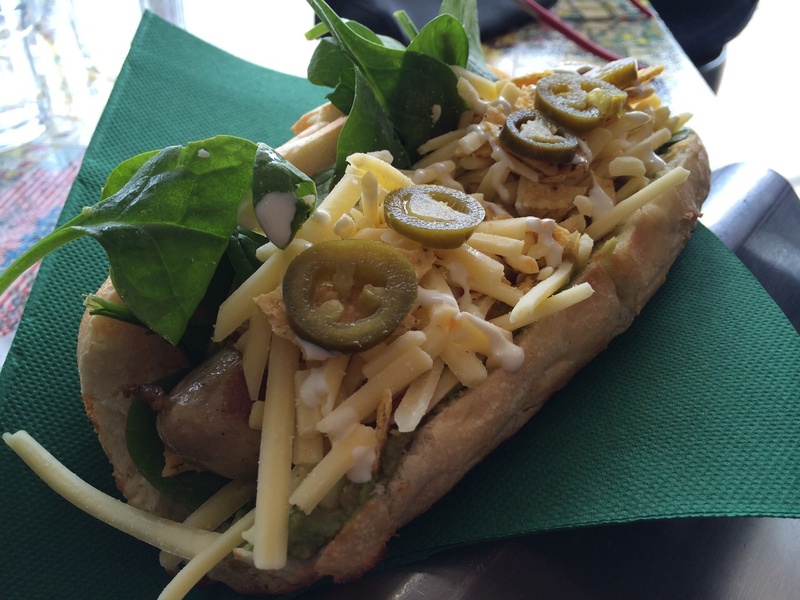 As Mum loves her chili kick, she went for the Rukus ($13.50) from the Dogs on Fire section. The Rukus consists of premium bratwurst, chili and lime sambal, crispy prosciutto, spinach, cheddar, sour cream and jalapenos. Just like the Mischief and the Punk hot dogs, the combination of flavours from the chili and lime sambal actually worked well in the Rukus, giving some nice kick and acidity. A perfect choice for those who like it spicy. 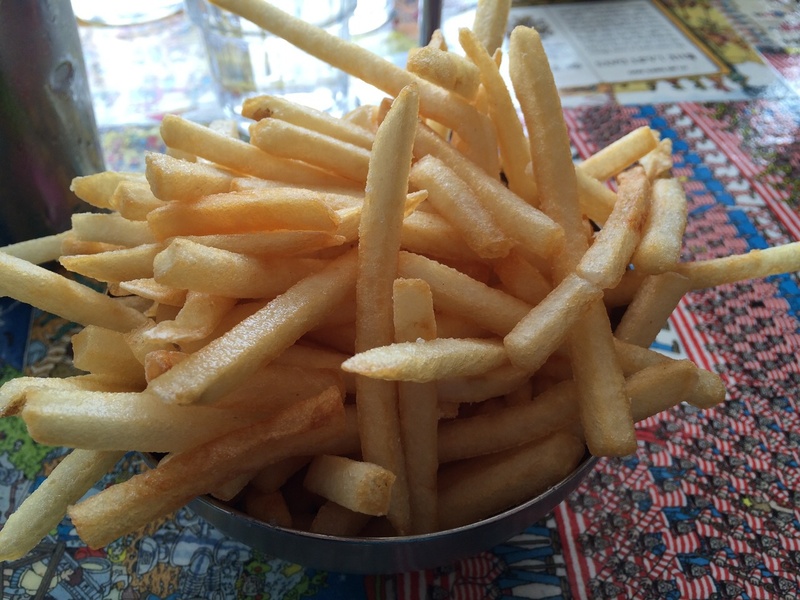 To complement our Hot Dogs, we shared some Fries ($4). The fries were fresh, crispy and tasty with a good hint of salt. I loved it. We were also told by the lady that everything at Run Amuk was made fresh and that they never reuse their oil to cook the fries, which is really great. Run Amuk also offers dipping sauces such as classic aioli, coriander & lime aioli, spicy cajun aioli or tasty tomato relish at $1.50 to complement the fries too. Apart from delicious hot dogs, Run Amuk also has cool interior with miniature cars stuck together on the wall, bus seats as diner booths and drum stools. Oh and not forgetting, tables covered with pages from Where’s Wally books, guaranteed to keep you occupied while waiting for your hotdog. At this stage, I can say that the best hot dogs in Perth is at Run Amuk. Everything on the menu looks good and I already can’t wait for my next visit again!